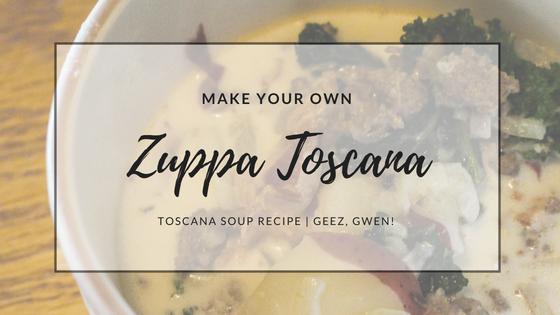 Toscana Soup Recipe Printable Version - Geez, Gwen! Everybody has that one recipe that their family is always requesting. For me, it’s my Toscana Soup. Everybody loves this comforting loaded soup and nobody can get enough of it. You can change up the recipe a bit and make it more your own. For us, we double the Kale. And sometimes get a little heavy handed with the bacon. But this is how I make it when I share it. 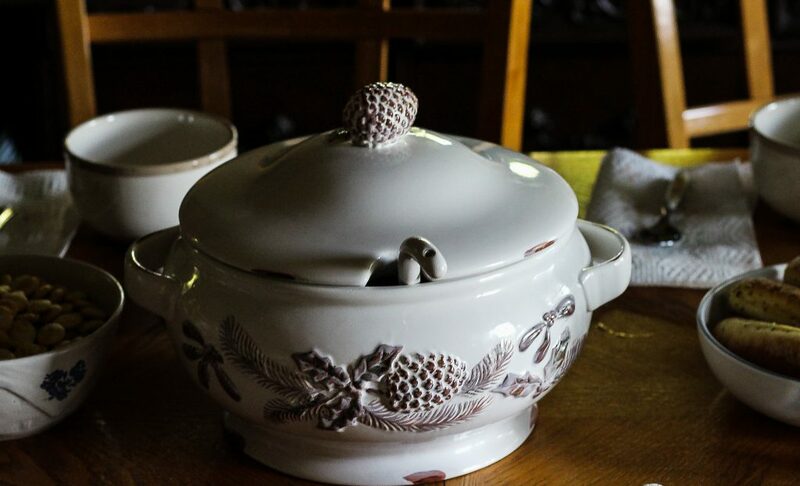 Enjoy your own Toscana Soup tonight!